​Take advantage of your $10 TNLA Membership and gain connections with hundreds of Green Industry leaders across the Lone Star State! 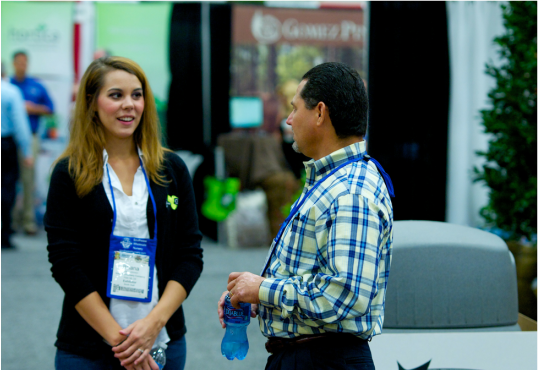 ​TNLA is here for YOU - Tap into the deep knowledge and expertise of the industry and TNLA staff. Learn from TNLA Education, Webinars & Certifications - TNLA leads the State in providing top notch education for all levels within Green Industry experience, get ahead of the rest in your class by becoming a TNLA Certified Professional. Access to TNLA’s Online and Printed Membership Directory - Make connections immediately with TNLA’s member base: buyers and sellers from across the Lone Star State and beyond. Connect with Industry Professionals at TNLA events - Reduced rates and exclusive access to event participants means you can connect to partners and colleagues before and after events. Subscribe to TNLA’s digital newsletters - Increase your competitiveness and enhance efficiency with timely coverage of industry news, research and trends. Become Inspired by a TNLA Mentor - TNLA is composed of members with year's of knowledge and skills who are ready to share their experiences with you and provide advice and guidance as you learn more about your Green Industry career path. Take advantage of TNLA Job Link & Scholarships - Propel yourself into the future with TNLA's Job Bank Resource when applying for your next internship or job and if you are still in College be sure to apply for the annual TNLA E&R Scholarship. Make Virtual Connections - Exchange ideas with your peers and TNLA Member experts from across the Green Industry supply chain on Facebook, Twitter, LinkedIn and More!